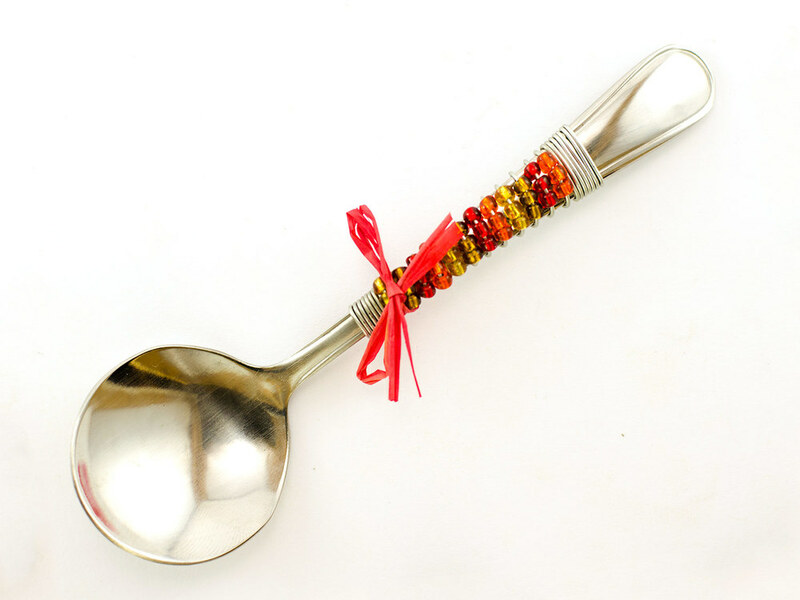 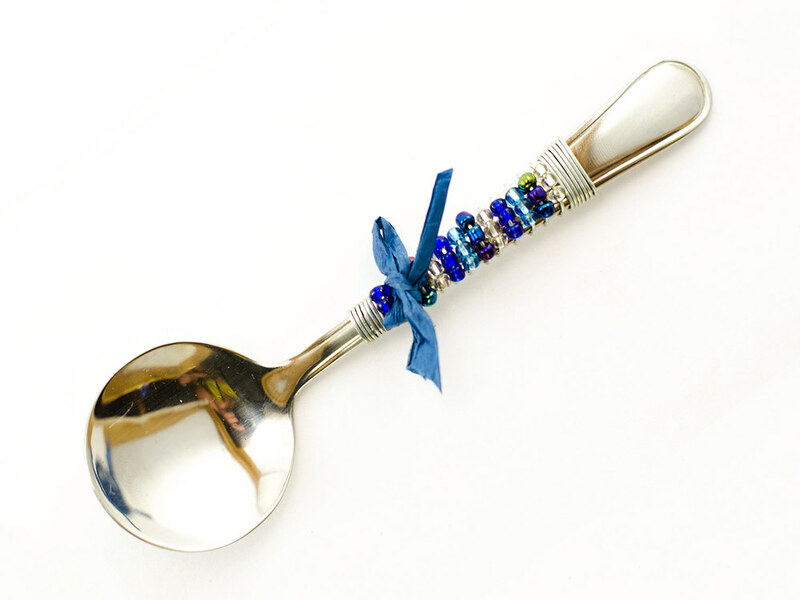 Sugar Spoons: Glass Beads delicately wrapped around a stainless steel classic sugar spoon. 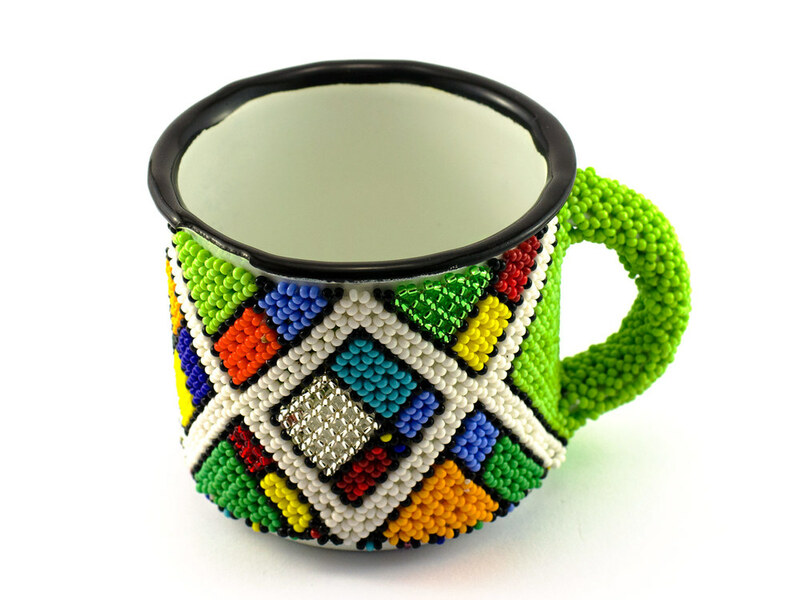 Beaded Cups: Zulu beadwork at its best is sewn together and worked around a standard (pictured) or small enamel cup. 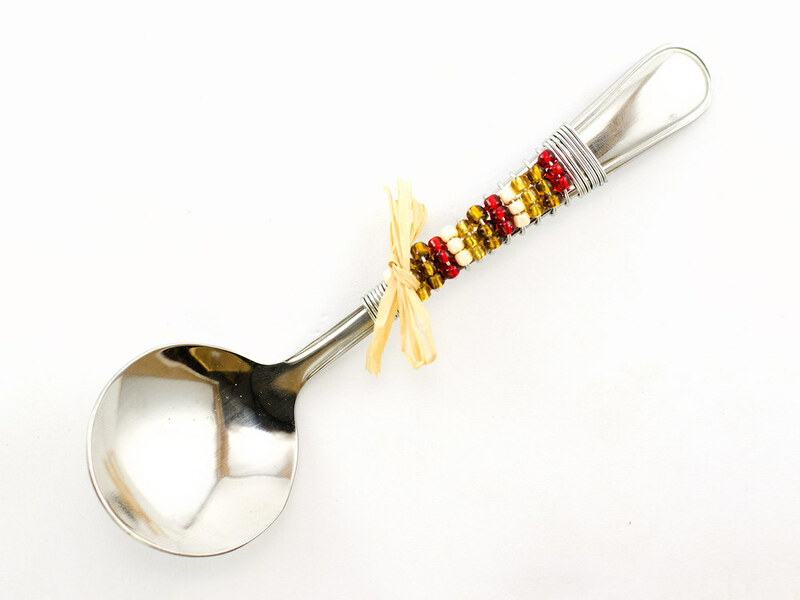 Beads come in two sizes; size 1 beads (pictured) for a superior finish and higher quality or size 2 beads for a slightly rougher beadwork look and lower price.